I made this over a month ago to match one of Audrey's dresses for an engagement party we went to with her. I'm always on the lookout for fabrics that I think will melt well for making flowers. I'm sure you've seen a bunch just like this floating around the internet too! This is so easy, you probably don't need a tutorial for it, but I'll give a quick one, anyway! First, cut the organza into flower shapes. Make your largest one first, and make each one after just a little bit smaller than the last. You can make this flower as large or as small as you'd like. I used 6 flower cut outs for this flower. Once you have them all cut, hold one piece at a time over the flame of your candle until the edges just begin to melt. Repeat for each flower cut out. Some of my edges got a little over-melted. I later cut these off and re-melted! Now, measure your headband to fit baby's head. I cut Audrey's to about 16". Sew the elastic closed, and set aside. Choose a few beads for your center and sew those on. 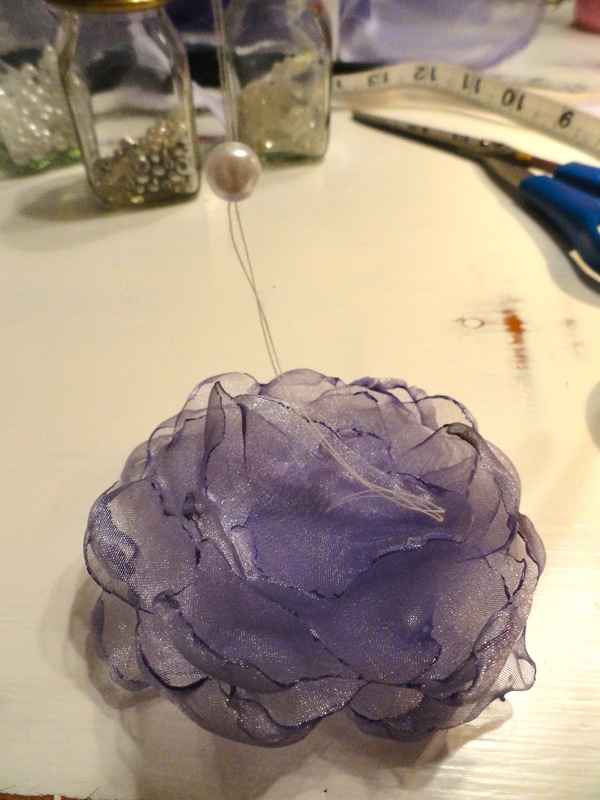 This will also serve to sew all of the layers of the flower together. To finish it off, just stitch the flower onto the elastic right at its seam. 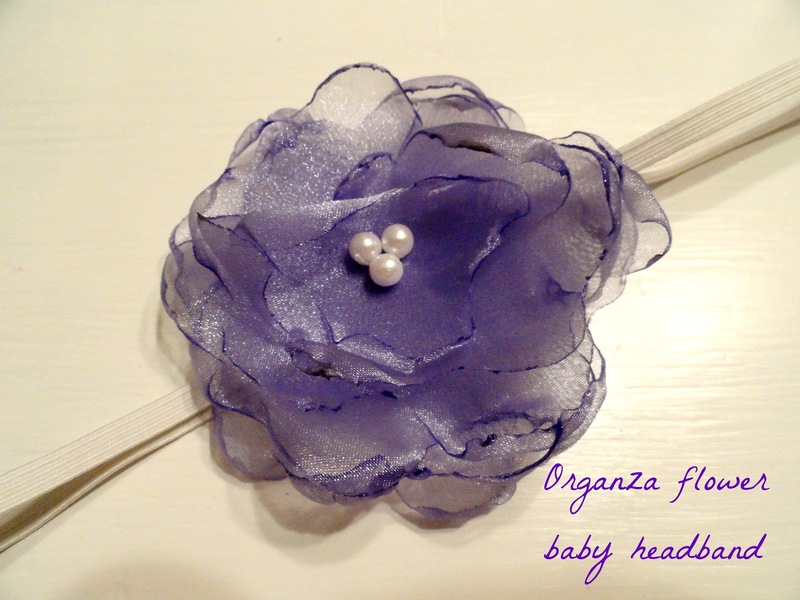 Of course, you don't have to limit this flower to just baby headbands! 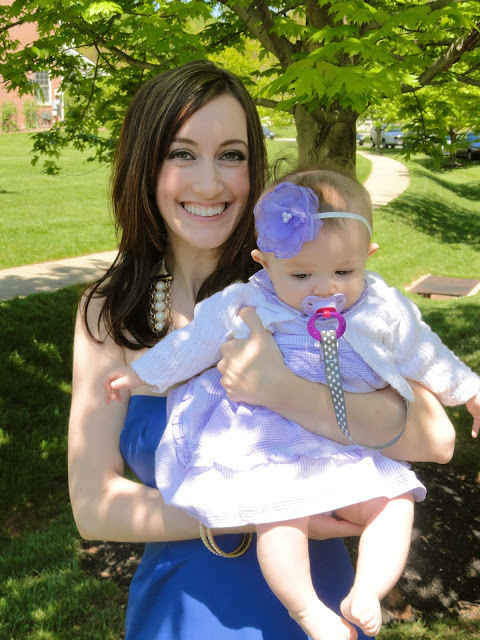 You could make it into a hair clip, a pin, or a belt...like I did for this flower belt to wear for my maternity pictures. Audrey and I are headed to NJ on Friday to see Buck's County School of the Performing Arts Spring Showcase this weekend! 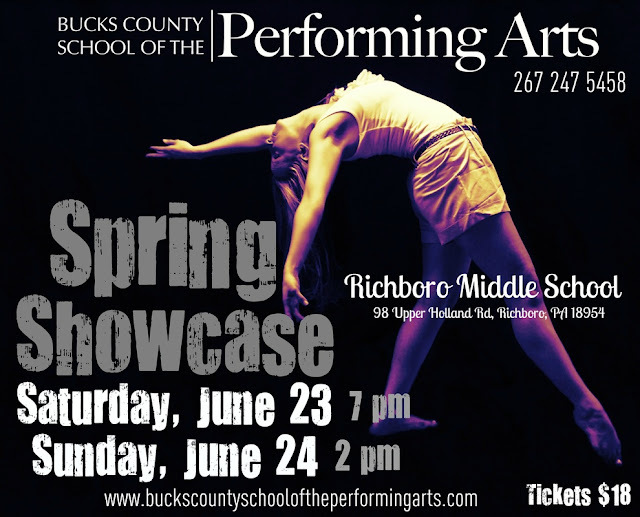 I'm sure it's going to be amazing, so if you're in the area, you should definitely come! You can buy tickets at the door for just $18! That being said, blogging might be a little slow for the next week since I'll be staying in NJ until the following weekend for my friend Amanda's bridal shower! But, I do have so many tutorials that I've just been waiting to have the time to share with you, so hang in there, and I'll try to get a few posted while I'm away! Was on your website for the first time this a.m. So impressed with your talent and hard work, but even more by your love of our Lord. Thank you for your beautiful scriptures. Thank you for the kind words...I'm glad to have you as a reader!